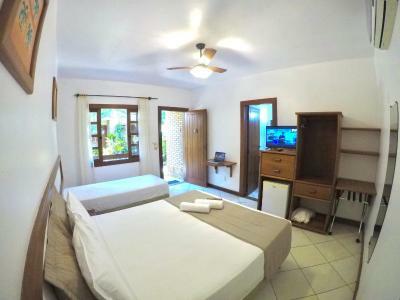 Lock in a great price for Pousada Abaré – rated 9.3 by recent guests! I like everything in this place. It was very cozy, clean, and comfortable. The place was always clean with a fresh sent. 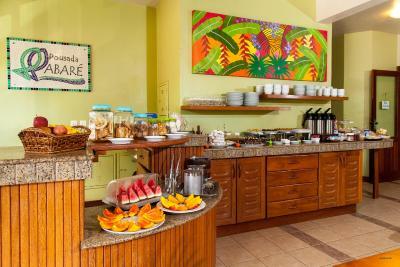 The bathrooms were excellent as well with a spacious shower, plus a hairdryer and makeup mirror is included in the bathroom.The morning breakfast was always a delight with different food options to eat every morning. 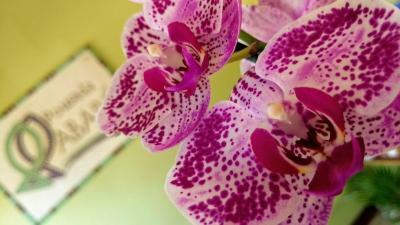 I enjoyed my stay here very much and recommend this place to everyone. 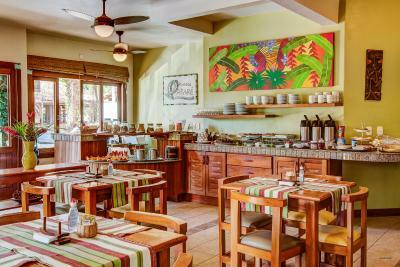 Very helpful staff, great tips on what to do in Itacaré, where to go, where to eat. 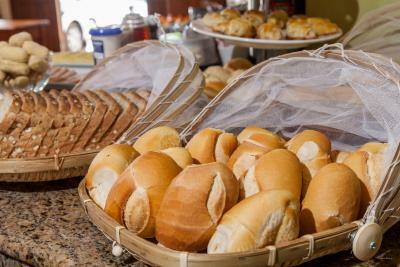 Delicious and rich breakfast! Not just good, but *different* breakfast every day. Pool in good shape, a great refresher from the saltiness of the beach. 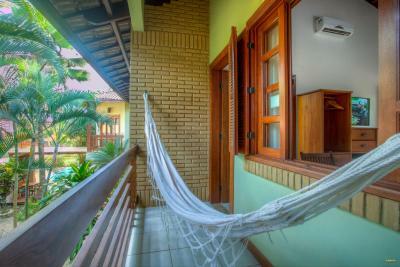 Hammocks were fantastic (and felt semi-private even hanging outside the room). Really welcoming hosts. 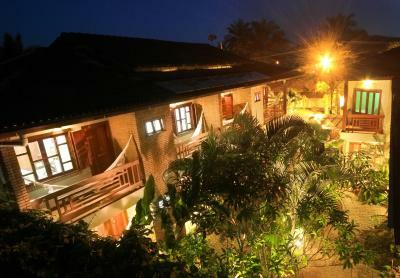 A pousada é perfeita e os donos uns amores! 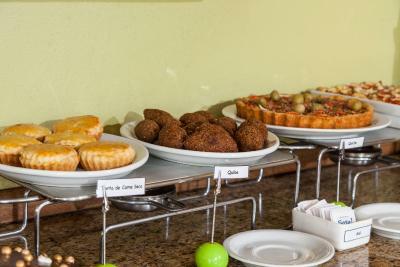 O café da manhã é top, que é complementado pelo lanche da tarde disponibilizado aos hóspedes. 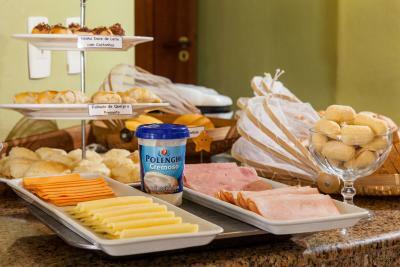 Os preços do frigobar são mega acessíveis! 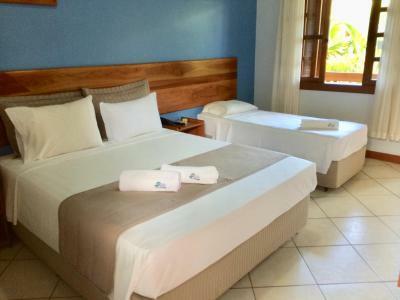 Fui pela segunda vez e é minha pousada toda vez q voltar a Itacaré. 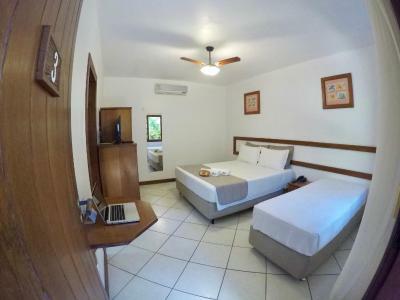 O quarto acomodado foi o mesmo apartamento que estavam nas fotos do booking contratado na reserva, tamanho da tv excelente, funcionários da recepção sempre à disposição quando solicitados. 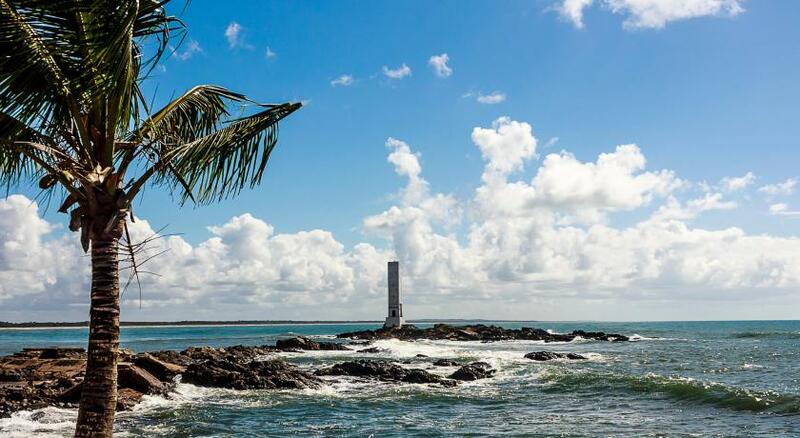 Boa localização, muito perto do centro. Atendimento muito simpático e quarto amplo. Atendimento excelente do Carlos e Simone, ambos foram atenciosos, prestativos e acolhedores, fazem a diferença! 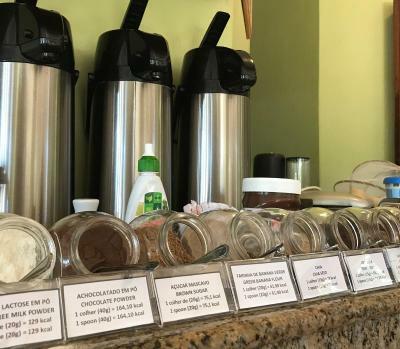 O café da tarde também é uma ótima idéia, pois acolhe os hóspedes no retorno dos passeios gerando uma integração entre os mesmos. 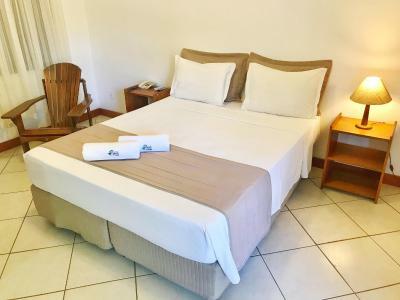 One of our top picks in Itacaré.Located 800 feet from Praia da Concha Beach, Pousada Abaré offers free Wi-Fi, a buffet breakfast and an outdoor pool. 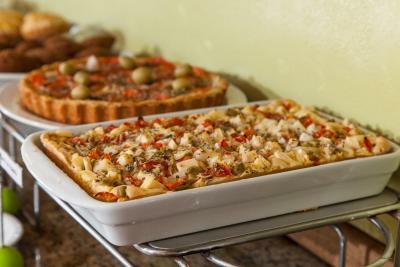 Restaurants and bars are located 800 feet away on Pituba Street. Parking is free. 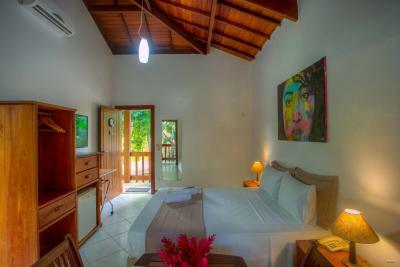 All air-conditioned rooms provide a garden view and offer timber furnishings. 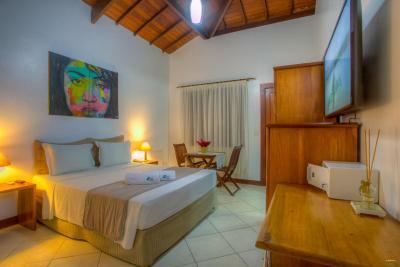 They are equipped with a TV, a mini-bar and a private bathroom and some rooms boast a balcony with a hammock or a patio. 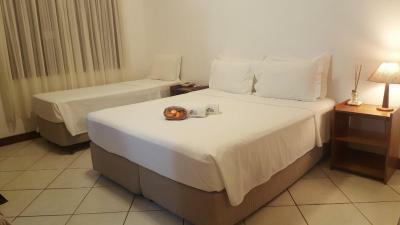 Praia da Tiririca Beach is positioned 2,300 feet from Abaré Pousada. 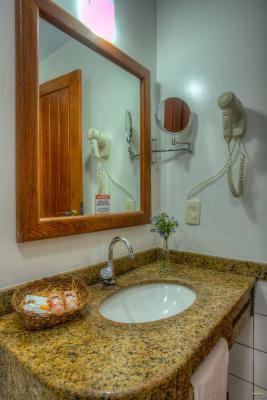 The nearest bus station is ideally 0.9 mi from the guest house and the Ilheus Airport is 47 mi away. 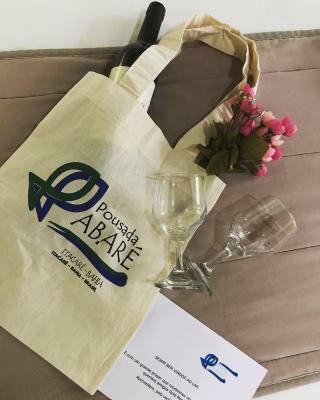 When would you like to stay at Pousada Abaré? 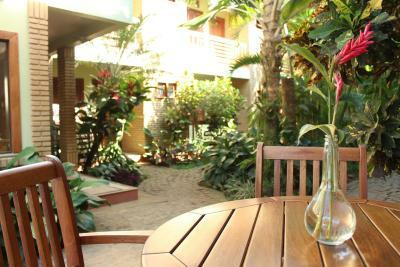 Located on the ground floor, this air-conditioned room features a patio and a garden view. 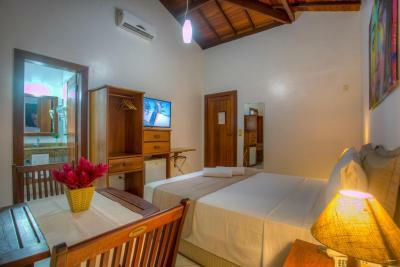 It is equipped with a TV, fan, mini-bar and private bathroom. With timber furnishings, it provides bed linens and bath towels. 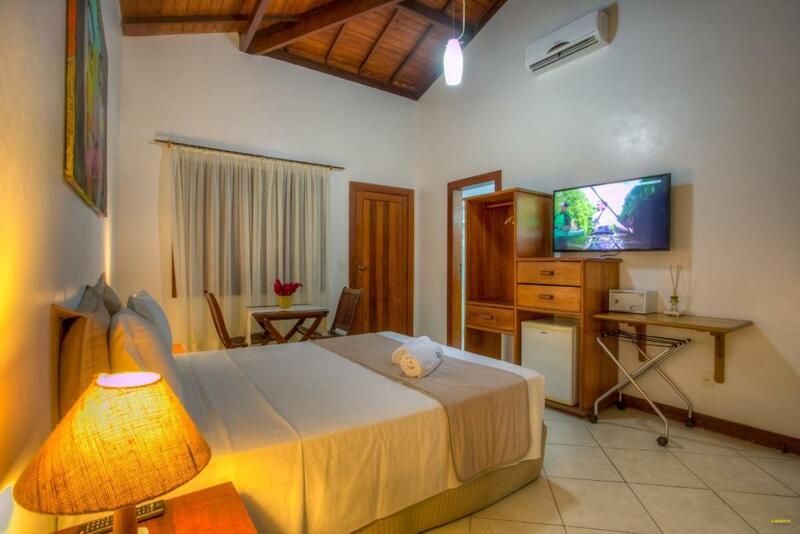 Located on the 1st floor, this room features a split air-conditioning unit and a balcony with a hammock and garden views. 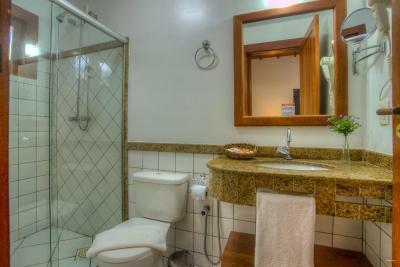 It offers a 27" LED TV, fan, mini-bar and a bathroom with a hairdryer. 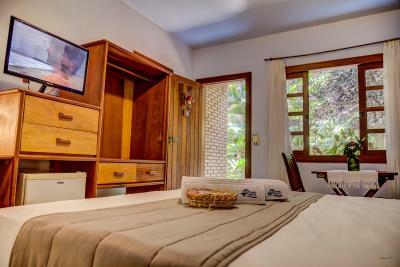 With timber furnishings, it provides bed linens and bath towels. 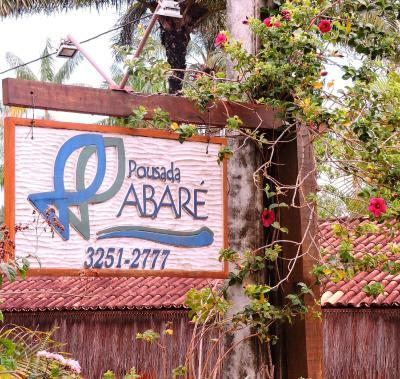 House Rules Pousada Abaré takes special requests – add in the next step! 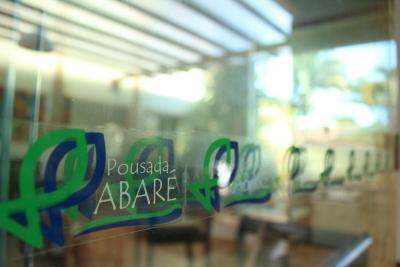 Pousada Abaré accepts these cards and reserves the right to temporarily hold an amount prior to arrival. 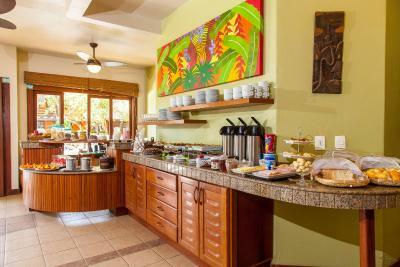 Please note this guest house requests that the full payment must be made during the check in. Overpriced as expected on New Years Eve (all decent places are really expensive that time of the year). No ashtrays in the rooms. There were some mosquitos but hey, whats new in that part of the world. They didn't really bother me but some nights we had to close the windows and use the air conditioner, which was a little noisy.